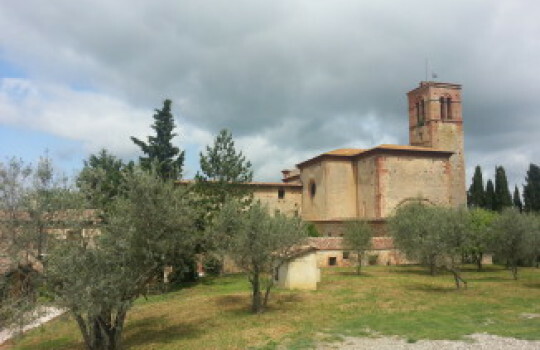 This is the itinerary of a 12-day romantic trip to Tuscany I took with my girlfriend. We visited Florence, Siena and the Val D’orcia (Pienza, Montalcino, Montepulciano, Cortona and many other little towns/villages). 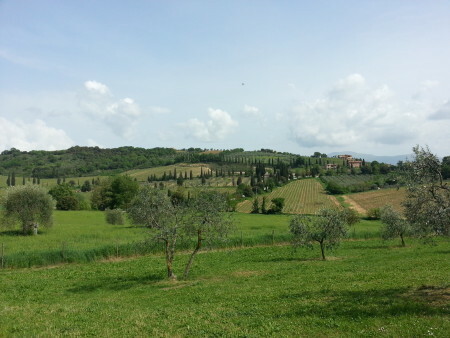 Tuscany is pretty big so we had to make some choices in order to not rush too much and avoid exhausting drives. Therefore, we focused on Florence and the south of Tuscany instead of the north where the Chianti region is. It’s probably possible to integrate Chianti in this itinerary but it would probably mean 1 or 2 days less in Florence and/or Val d’Orcia. 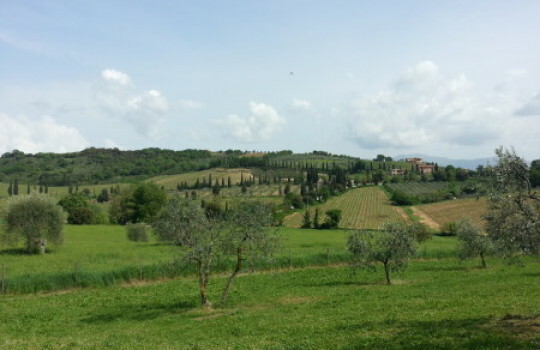 We are already thinking of our next trip to Tuscany and Chianti will definitely be included this time! 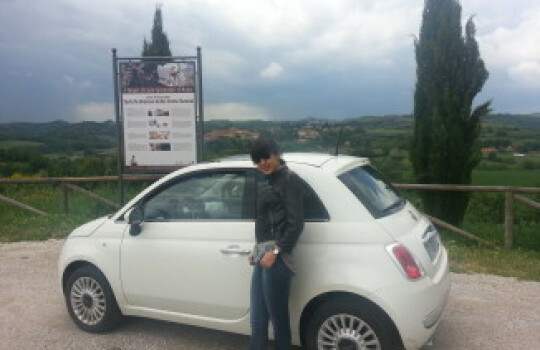 We started our romantic trip to Tuscany with Florence. We spent 3 full days there walking around the city and visiting museums like the famous Uffizi, Galleria dell'Accademia (where there's the statue of David by Michelangelo) and Museo Nazionale del Bargello. 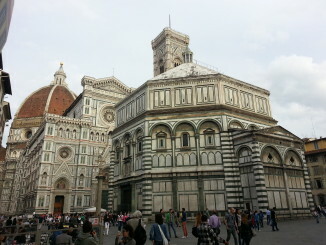 We also climbed the Duomo for a stunning view of the city and the Catedral Santa Maria del Fiore. San Lorenzo de Florence, Santa Maria del Carmine, Santa Croce... out of all the churches/basilicas we have seen we were actually the most impressed by Basilica di San Miniato al Monte with its Romanesque architecture and its perfect location on top of Florence. We stayed at the Plus Florence (hostel) which was quite ok for the price and not too far from the historical center. We went to many restaurants/take away places (check out the summary of the tour) and out of all I think the best one for dinner was Antica Trattoria Da Tito which serves great Tuscan meat specialties like 'bistecca alla fiorentina' and for lunch All’Antico Vinaio. 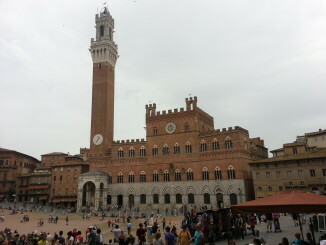 On the 5th day of the trip we went to Siena from Florence by train (S. Maria Novella station), which took us about 1h30. Siena is a relatively small town so at the end of the day we had almost walked through the whole city already. 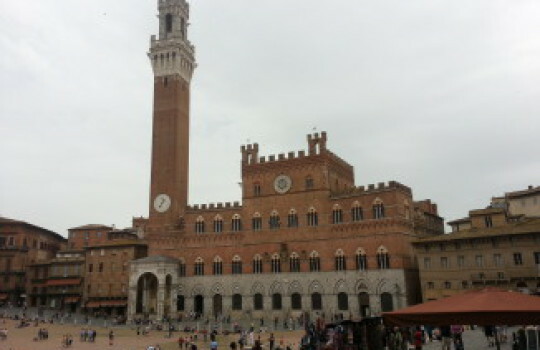 The next day we visited the Museo dell'Opera Metropolitana del Duomo and Siena Cathedral. We also climbed the Facciatone from where you have an amazing view of the city and especially Piazza del Campo, Palazzo Pubblico and Torre del Mangia. We stayed in a Al Mercato B&B loccated just behind the Palazzo Pubblico. For our best meal in Siena, it's a close tie between Antica Osteria da Divo and La Taverna di San Giuseppe. 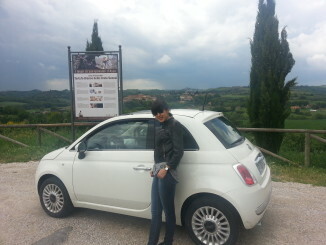 On the 7th day we rented a car in Siena and drove towards the south of Tuscany. We passed through Asciano because there's supposed to be a spot to see an impressive panorama but we unfortunately couldn't find it. We stopped in a little village for lunch and early afternoon we reached the Abbazia of Monte Oliveto for an inspisiring visit. Don't miss the fresco by Il Sodoma there. 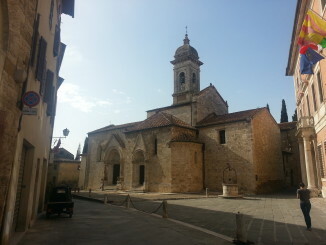 We continued our trip and stopped for coffee in Buonconvento and San Quirico d'Orcia. Late afternoon we reached Pienza and discovered our beautiful accommodation in Agriturismo Cerreto, a cute little Tuscan farm surrounded by wineywards and olive trees. In the evening we had dinner in La Taverna di Re Artu. 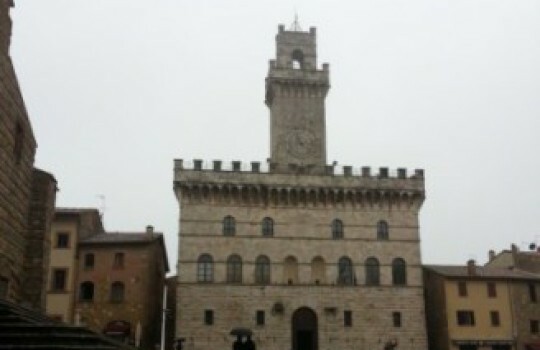 We left Pienza around 10 AM and ahead to Montalcino (about half hour drive). 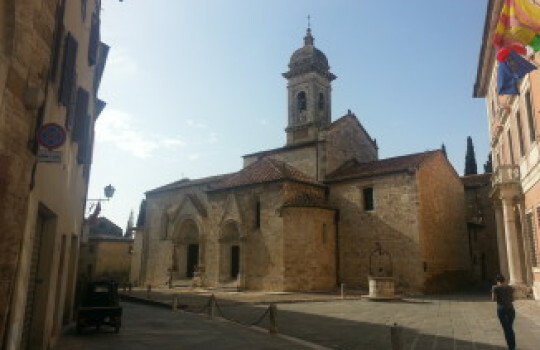 We visited this medieval hill town with its impressive fortaleza (fortress) and little streets that lead to the Chiesa della Madonna del Soccorso (church) at the top. We had lunch in Re di Macchia and then coffee on the Piazza della Principessa Margherita (main square) where the town hall is. 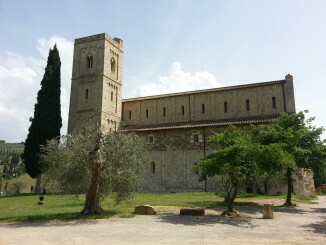 After that we drove to the Abbazia of Sant'Antimo, a magnificent abbey that dates back to Charlemagne (Late Classical times). We then drove back to Pienza through Bagno Vignoni (don't forget your towel and swimming suit like we did if you want to go for a swim!) and had dinner in la Buca di Enea to finish this perfect day under the Tuscan sun. This day was quite relaxed. 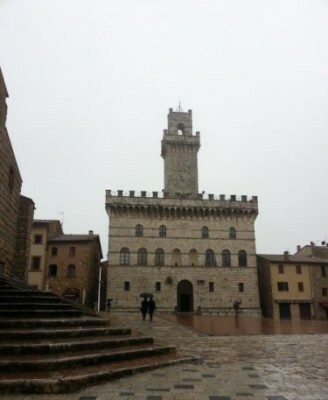 We drove to Montepulciano (about half an hour from Pienza) and walked around the city, stopping by at many wineries to try out the different varieties of Vino Nobile di Montepulciano. The Contucci winery was especially interesting to visit. It is located on the main square where the Communal Palace is. After buying a few bottles we had lunch in La Bottega del Nobile. 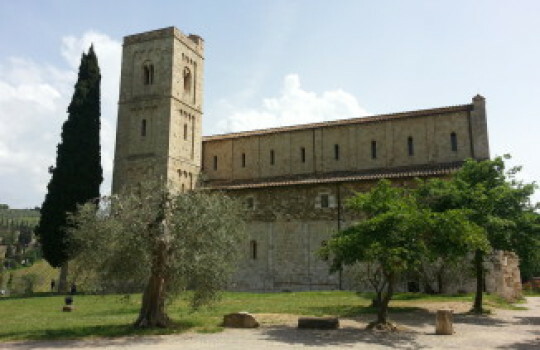 We then drove around and went to Monticchiello. Late afternoon we returned to Pienza and took time to visit the city (before that we only saw this city at night before going for dinner). Finally we had dinner in Trattoria da Fiorella. Another day dedicated to wine! 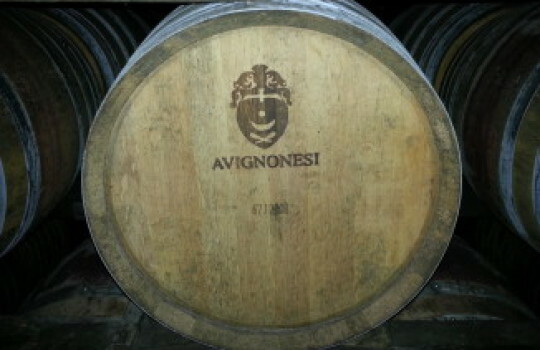 We made a reservation for a visit of Avignosi wineyards and winery followed by a wine-paired meal. Everything was quite nice although you shouldn't expect an intimistic and the lunch was one of our best meals in Tuscany. 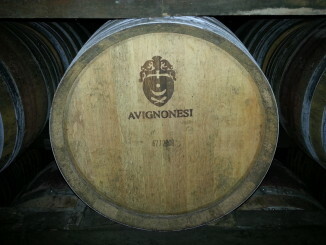 You get to try pretty much their whole collection of wines including their quite expensive Vin Santo (aged for 10 years) and '50 & 50' (50% Merlot and 50% Sangiovese). The day was still early after lunch so we decided to go to the medieval town of Cortona which is almost at the frontier between Tuscany and Umbria. From the Piazza Garibaldi/Carbonaia you have an amazing sight of Lake Trasimeno, where Hannibal's ambushed the Roman army at the Battle of Lake Trasimene in 217 BC. In the evening, back in Pienza, we had dinner in Trattoria Latte di Luna. For our last day in Val D'orcia we cycled around Pienza for a few hours until we got too tired (some slops are quite tough) and took the car for a drive in the little cities/villages around Pienza like Montisi, Castelmuzio, Petroio and San Giovanni D'asso. We had lunch at la Taverna in Montisi who's single-handedly run by Roberto, a very sympathetic character genuinely kind and interested in his guests. For our last day we just drove back to Florence (about 1h30), which gave us a last occasion to admire the beautiful scenery of Val D'orcia before flying back to Amsterdam. 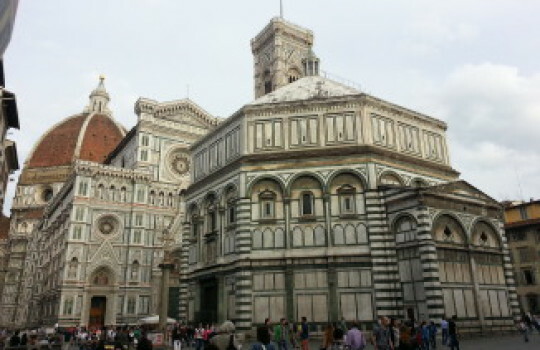 - Get the Firenze Card if you plan to visit a few museums. It's cheaper than paying each reservation individually and it saves you the trouble to reserve each museum individually. - Choose your restaurants carefully: there are a lot of crappy joints in touristic places, especially Florence and chances are the restaurant you will pick impulsively will turn out to be a disaster. TripAdvisor is a good help but don't rely solely on it - we've been to a few places that didn't deserve their rank.